Alyssabeths Vintage: I didn't disappear! 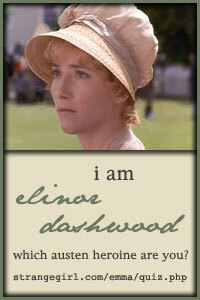 Hello everyone, I've been away for several months and have missed working on my blog and crafts. I decided to take some time off to reevaluate my life and family relationships, and found that I was seriously neglecting my loving and understanding husband. 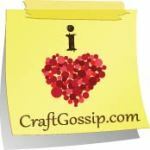 I found that the blog, crafting and Etsy jewelry shop was taking way too much time away from my husband and step-kids! So I made the decision to close the jewelry shop, it's still open a the moment - everything has been reduced so pop on over and help me permanently close the store! Oh and here is a coupon code for an extra 5% off GOTAGO! But..... I did realize that I actually liked the hunt for vintage jewelry supplies more than I did creating the jewelry, must be a shopping thing, lol. I didn't want to give up my dream of being self employed and found that the supply end would be my way, and at the same time takes a lot less time away from my family. 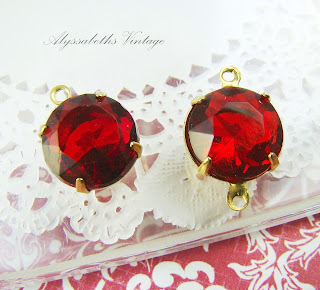 So I opened a second shop selling Vintage Chic jewelry supplies Alyssabeths Vintage - stocked with vintage handset Czech Glass & Swarovski faceted glass jewels, cabochons, cameos, beads, filigree and so... much more. 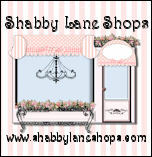 I'm busy stocking the store for the up coming Holiday Season with lovely sparkly things! 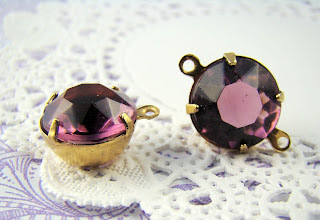 Keep checking in, new vintage jewelry supplies are added daily! So glad to see you blogging again. I will miss your beautiful jewelry but it's perfectly understandable that you need to spend more time with your family. The jewelry supplies should be less time consuming.